We are hiring young and talented 3D Animators with good software skills into Adobe Maya. Major Duties & Responsibilities: Would be responsible for creating Lip-sync animation and character animation with good facial expressions. Also having a good knowledge of animation principles." 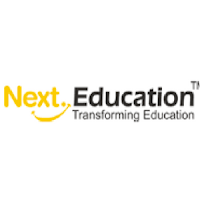 Next Education is a fast-growing, technology-driven company revolutionising the education system in India. Using the latest technology, we create cutting-edge products for the education sector that make learning and teaching easier, more fun, and more effective.